Richard K. Saxman is a well known dealer within the antique dolls community. He’s been working and sharing expertise on this field for more than 35 years. 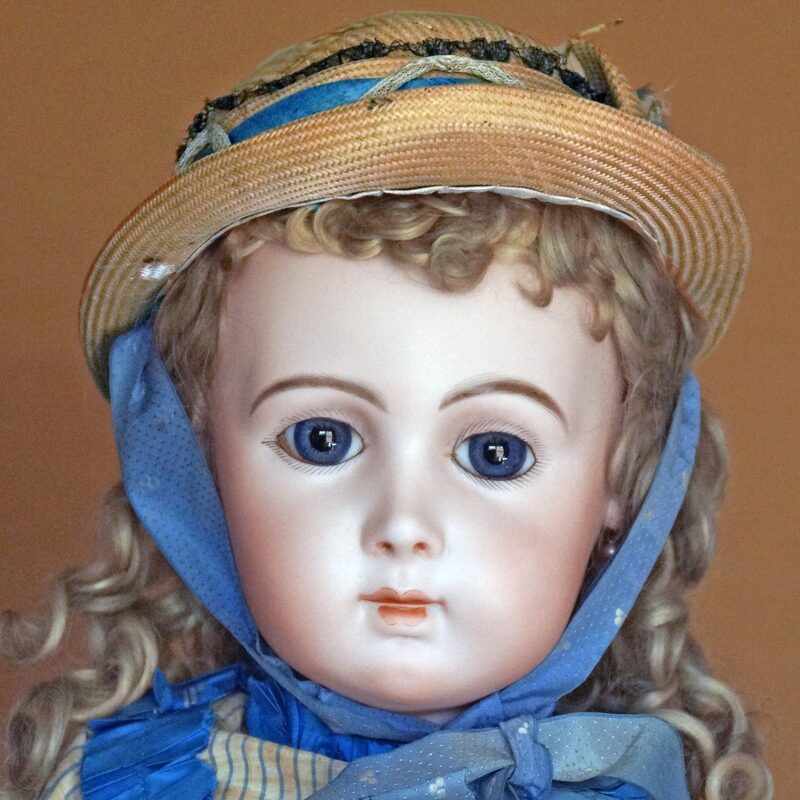 His business, Richard Saxman Antiques, is dedicated to the purchase and sale of fine quality dolls, teddy bears and other related items manufactured in general prior to 1930. He si a member of the United Federation of Dolls Clubs (UFDC) as well as the National Antique Doll Dealers Association (NADDA). The dolls we buy and sale are for the most part made from wood, wax, papier-mâché, parian, china (glazed porcelain), bisque (matte finish unglazed porcelain) and cloth. The majority were made by commercial firms, although occasionally we carry home made or so call “folk art” items as well. The stuffed dolls and toys are made from felt and/or mohair and most of the items we feature in these categories were manufactured by the firms of Steiff or Lenci. We also deal with bisque porcelain figurines and novelty items such as kewpies, half dolls, powder boxes and candy containers as well as papier-mâché candy containers and holiday decorations. If you have any of the items mentioned, be one piece or an entire collection, phone, write, text or email us any time for a free consultation. There’s never an obligation and all inquiries will remain confidential regardless of the outcome. We paid competitive prices, especially for the rarest of things and highest quality items, while trying to be fair and reasonable when reselling to our customers. All items will be described accurately and completely as possible and any flaws such as hairline cracks, chips or restorations to the bisque or porcelain fully noted. When it comes to antique dolls we proudly offer the best quality available, bit one needs to remember that all these items are extremely old and fragile, and in general most of them will have some degree of wear and/or deterioration. Layaways terms to be negotiated on an individual basis. Layaways are encouraged to be six months or less, but never longer than a year. Once a price and payment schedule are arranged between a buyer and us, the buyer is obligated to make the minimum monthly payments as agreed, on a timely basis. Failure of the buyer to abide by the agreement will result in the ultimate cancellation of the original sale and any prior monies paid to the seller to be used only as credit towards the purchase of other merchandise. If for any reason a buyer is not completely satisfied with the purchase, a full refund will be made provided that the buyer returns the item within three (3) days of receipt. The item must be returned in the same condition it was sent and fully insured when being returned. Refunds will not be given on layway purchases unless the buyer finds damage or restorations to the bisque or poecelain head that was not described by the seller. If a buyer wants to return an item purchased on layaway for any other reason, the amount already paid can only be credited towards the purchase of another item(s) or a future purchase. Payments may be made by check, cash, money order or wire transfer. Discover, Visa, MasterCard and American Express are also accepted. PayPal is also accepted if the buyer finds this more convenient. In most cases a discounted price less than full retail price can be considered, unless otherwise indicated that the price is “firm”. But the amount of any discount must relate to the method of payment as well as the time needed to fully pay for the item. Discounts can be given on full or immediate payment by check, cash, money order or wire transfer will always be greater than payment by credit card or PayPal. Likewise a short term layaway will always be less costly than a long term one. Sales tax of 6% to be added to items purchased by Pennsylvania residents unless a valid resale certificate is held by the purchaser.